You can store vegetables longer comfortably, in harmony with nature, with our organic cotton bag. 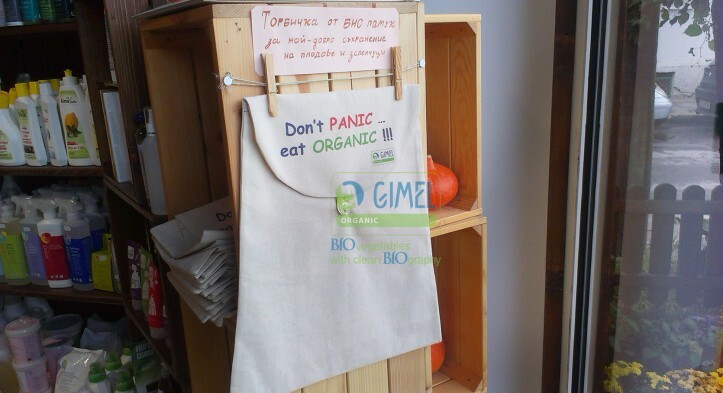 Why should you use organic bag? It keeps the vegetables fresh. 1. Moisten the bag with warm water. 3. Assort the products inside – the bag is best for leaf vegetables, cucumbers, zucchini, spices and all kinds of vegetables which dehydrate, just to be arranged by sort. 4. Put the bag in a cool and dark place. 5. After it gets dry, moisten it again. A piece of advice from the Gimelians: In order not to take the vegetables out, use a sprayer. 6. After each usage, wash the bag by hand, using organic soap. We have made a tutorial video, see it in Youtube. Dip the bag into the water. Assort the products in the bag. Place the organic bag in a cool and dark place. After it gets dry, remoisten it.